My favourite lip balm is clearly my e.o.s in mint, but because I've alreadyr aged about them so much I decided to chose another. 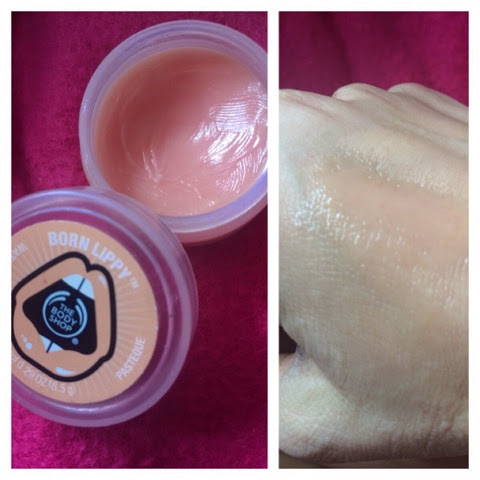 My favourite balm for a glossy look, is from the body shop and it's a born lippy in the flavour watermelon. I love this because it makes it look shiney, and smells like watermelon. Not only this but it also tastes like watermelon! However because you have to put your finger in the pot, your then left with a sticky finger and this annoys me!! 2) What is your favourite tinted lip balm? 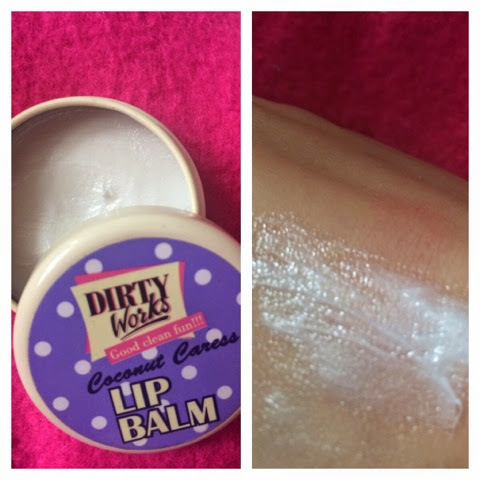 My favourite tinted lip balm, is made by dirty works. It is called cherry kiss, and comes in a pack with a coconut one, however I dislike the scent of it! 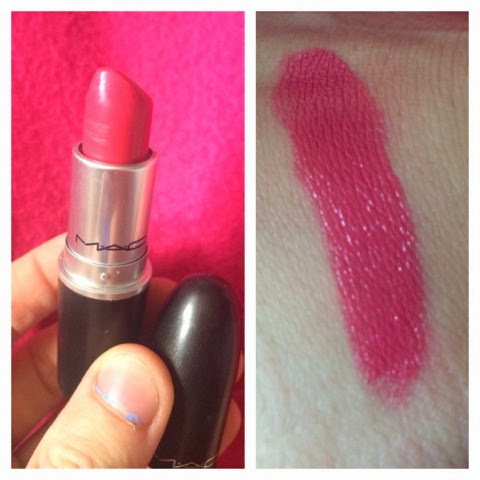 The hint is in the name, it gives your lips a slight red tint, so it's easy for a quick subtle look. I also like the scent, it smells like ( looks like a freak sniffing lip balms) glacier cherries. I also love the deep rosé colour. 3) What is your favourite eye catching red? My favourite eye catching red, is a high end product. It is made by Clinique and is in the shade 13 flamenco. It comes out as a very vibrant red, and I like to wear it on special occasions, because my mum, says that red lips, brings out brown eyes, so I like to wear it! Also it stays on better than my mac lipsticks, and gives a glossy finish. Speak louder. It is a lovely deep pink shade. It is quite glossy and leaves my lips feeling, so nice. However I find it is too deep, so I add a clear Clinique goss over the top, to reduce the colour. I wear this lipstick quite often, when I'm going out. 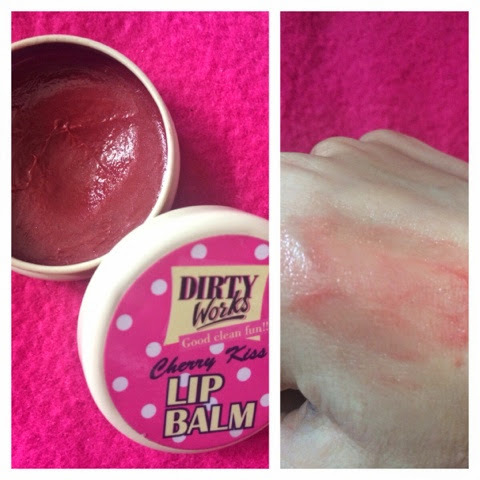 I actually don't have a disappointing product, but to chose one would be, the dirty works lip balm. It is in the flavour coconut. This is because it is in a white colour and it does this as a tint to my lips and I dislike this. I'm not that disappointed however because it does moisturise my lips. 6) Lipliner- yes or no? Apart from a normal clear gloss or a tanya burr, because so many people rave about them AND THEY ARE AMAZING! 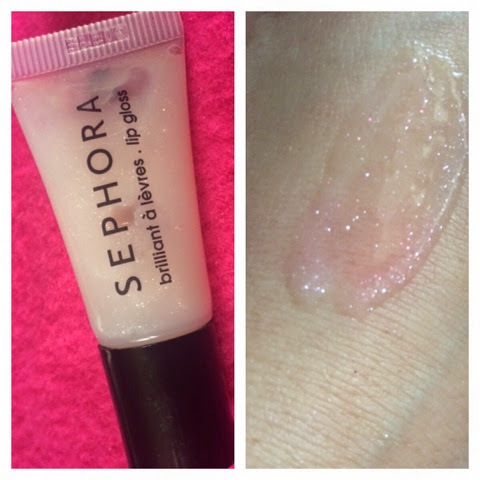 I chose my gloss from sephora. It is the shade precious pink, mad is a very baby pink colour, with lots of sparkles! I love this when I have smokey eyes, because then all the focus is on your eyes because they stand out the most! 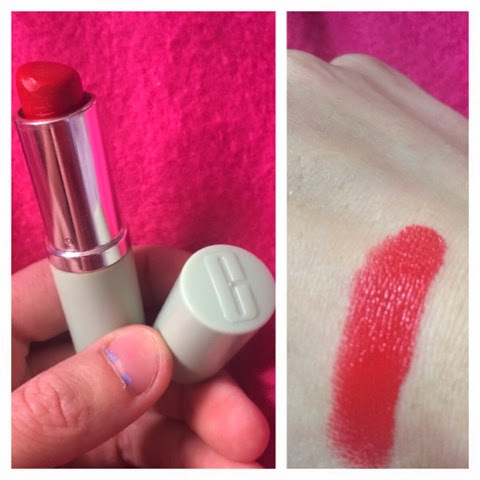 My something else is a lipstick from Clinique! I can't find it right now because, it is at my dad's house... and I'm currently at my mums.. I would show you a picture but I cant(( insert cry laughing face from an iPhone)) it comes in a pink tube and is a medium pink colour, with lots of moisture! That is the main reason I love it, is the fact it is so moisturising! 9) The best luxury and drugstore product? My best luxury and drugstore product isn't acctually that luxury it's just amazing! 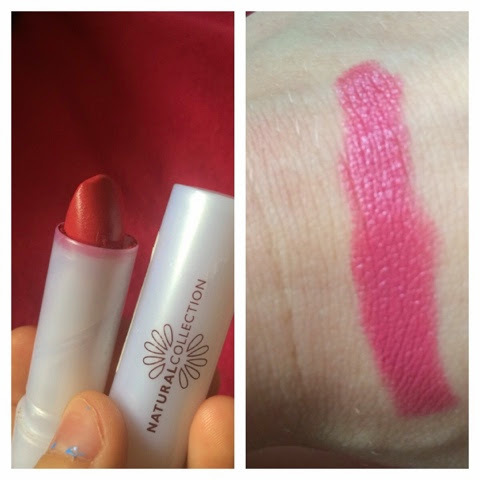 It is made by natural collection, and exclusive range made for boots When I was first getting in to make-up, I bought this as a new bolder colour. It only cost £2.99, but is a lovely colour. However it only lasts a maximum of 4 hours :(! I hope you have enjoyed this weeks post, because I felt like doing something different! please comment below if there is anything you'd like to see me do!